In clicker training we use often treats as rewards. Why? Food is a primary reinforcer and therefor it motivates most horses. 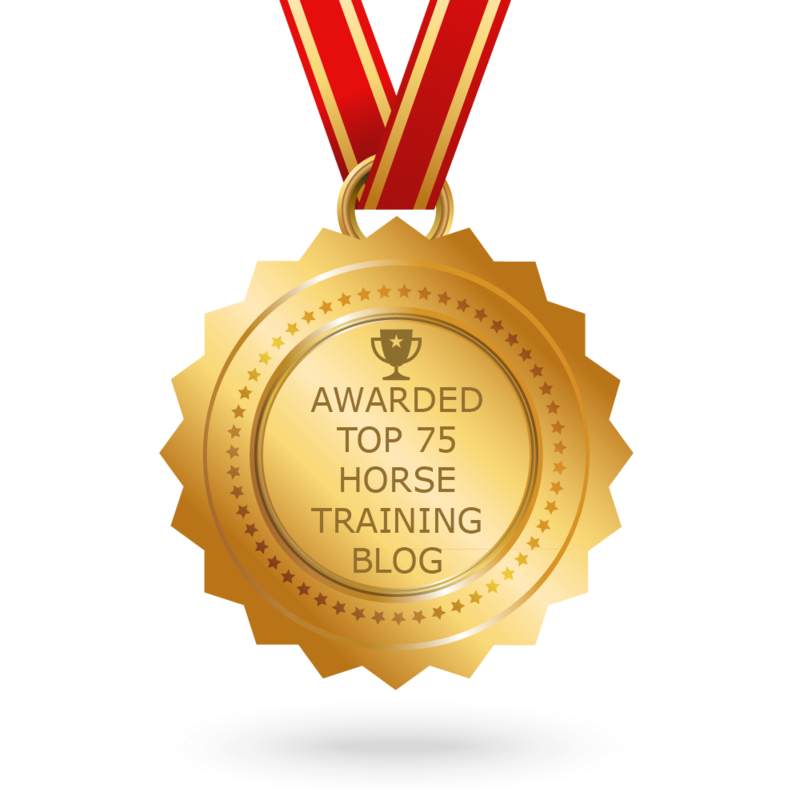 Giving treats as reward or as ‘pay’ for a well done job is highly motivating for the horse. Treats are easy to dispense, it’s a quick delivery and small enough to fit sufficient rewards for one session in your pocket. One of my key lessons is to teach a horse how to behave around food and treats. What to do if your horse isn’t behaving very safe around food? Well, you can decide to find another reinforcer or better yet you can work on your horses behaviour. The first step is to make sure you are working safely. Getting mugged is no fun and losing a finger in the process is even worse. 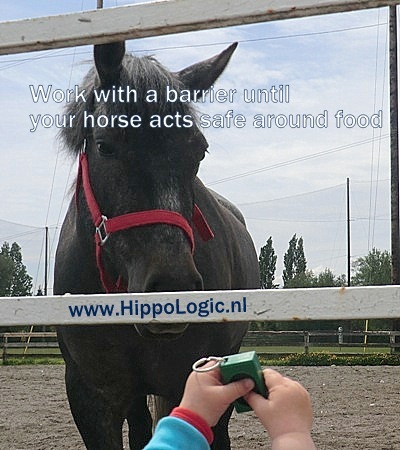 Work with a barrier between you and your horse until your horse is behaving safely around food. Polite behaviour around food is one of the Key Lessons in clicker training. Some horses turn to mugging because they have lost treats in the past. This may have been because the handler dropped the food or pulled their hands back as the horse was reaching for it. They have adopted a get it while they can attitude. Sometimes its a phase and they just need to be taught proper table manners again. Make sure your horse knows the rule: first a click then a treat. Your horse isn’t distracted by your filled hand and neither are you. Your horse has no reason to be nibbling or biting at you. With improper timing your hand reaching for the treat becomes the bridge instead of your click. Horses are incredibly perceptive and will pick up your behaviour before you realize it. Always bring the treat to your horse, don’t invite the horse to come and get it. Use a stretched arm and deliver the treat near his mouth quickly and calmly after the click. Deliver the treat directly at the lips of your horse, so he doesn’t have to be afraid he can’t reach it or he has to search for it. Speed up your RoR (Rate of Reinforcement). Click and treat as soon as your horse is keeping his lips still and is not displaying the grabbing behaviour. If he is not using his teeth to get the treat, you can present the treat in a closed first. Wiggle your fist if he nibbles your hand, click and open your hand immediately if he stops moving his lips/mouth for a second or if he looks away. Encourage (click) all the behaviour that you want: looking away when you put your hand in your pocket, keeping his mouth closed and lips still when you present a treat in a closed fist. If your horse is using his teeth you can present the treats in a shallow food bowl or lightweight frying pan to prevent injury. Some horses are better at taking large treats, eg big chunks of apple or whole (small) carrots to help reassure him that he gets the treat easily. Some horses will be encouraged to use their lips instead of their teeth if you give them smaller treats (grain). Try out different food sizes to find the one that works best for you and your horse. Try a context shift for example you can feed your horse from above. 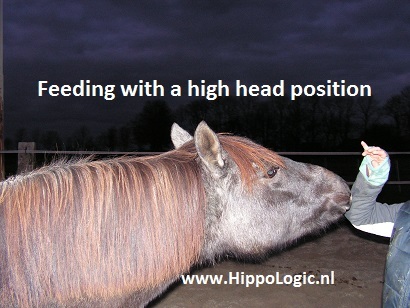 Hold a large treat high so your horse has to keep his head up. He’s probably not used to taking a treat from above, so he has to use his lips and thus preventing him from using his teeth. Have fun clicker training your horse and let me know how it goes.